Real-time positioning: year round,24 hours uninterrupted response, Battery Positioning Anti Theft. Have multi functions to meet customer needs, and be user's personal service steward. History Track: car report can show vehicle location and driving history routing. GEO fence ensures that the vehicle being locked in a specific range, the vehicle going out of / in this range will have alarm information. Historical trajectories reviews each section of the exclusive itinerary. Alarming Function: Vibration alarm; Cut off power alarm; Over speed alarm. Support: Google Map; Openstreet; Baidu Map. With on-board of Truck Starter Battery Protector GPS, it can locate at any time and anywhere, improve efficiency, achieve real-time update of vehicle position and state, improve the utilization rate of resources and turnover rate. Strictly control the vehicle speed, route, fatigue driving, and emergency help or other hidden dangers. In short, with rapidly rise and development of the Internet of Things(IoT). 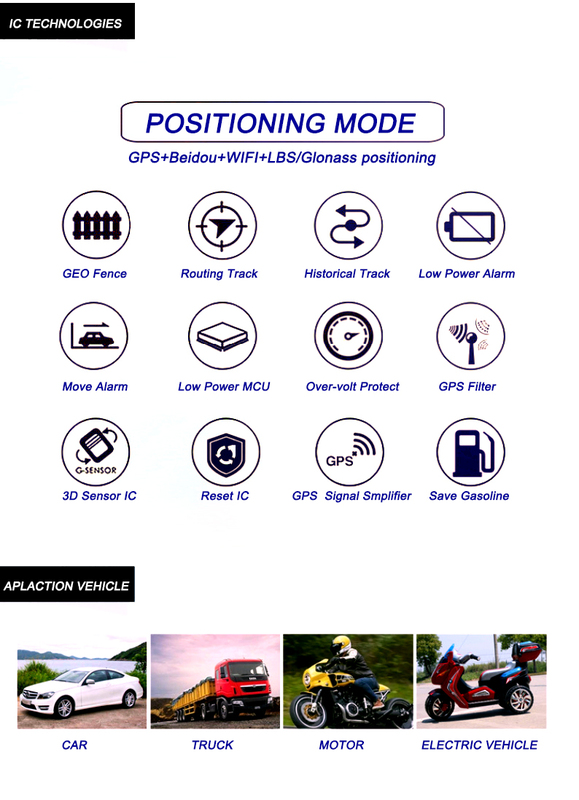 Vehicle Battery GPS Tracker & locator are of great significance for logistics management and other industries. In the foreseeable future, the development of GPS Positioning must be faster and faster. 24V Trucks Battery Protector with GPS Track device is a integration of GPS Technology into 24VBP300Ah of Trucks start up and solar battery protector. Therefore, It has dual functions of Truck Battery Saver and GPS Tracking management with Battery Care to Extend Battery Life. Looking for ideal Truck Starter Battery GPS Manufacturer & supplier ? We have a wide selection at great prices to help you get creative. All the Truck Starter Battery Protector GPS are quality guaranteed. We are China Origin Factory of Battery Positioning Anti Theft. If you have any question, please feel free to contact us.